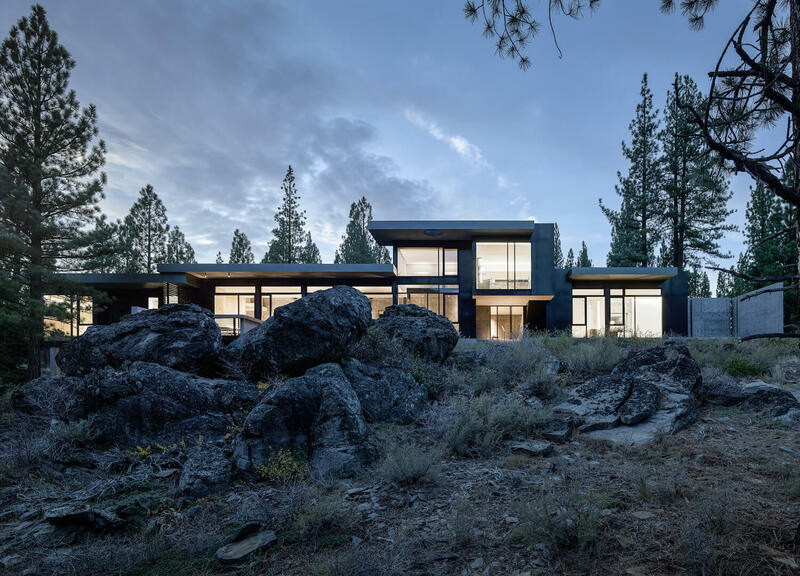 At the base of an ancient volcano in remote California lies a ‘restorative retreat’ by Faulkner Architects built carefully around every single boulder. 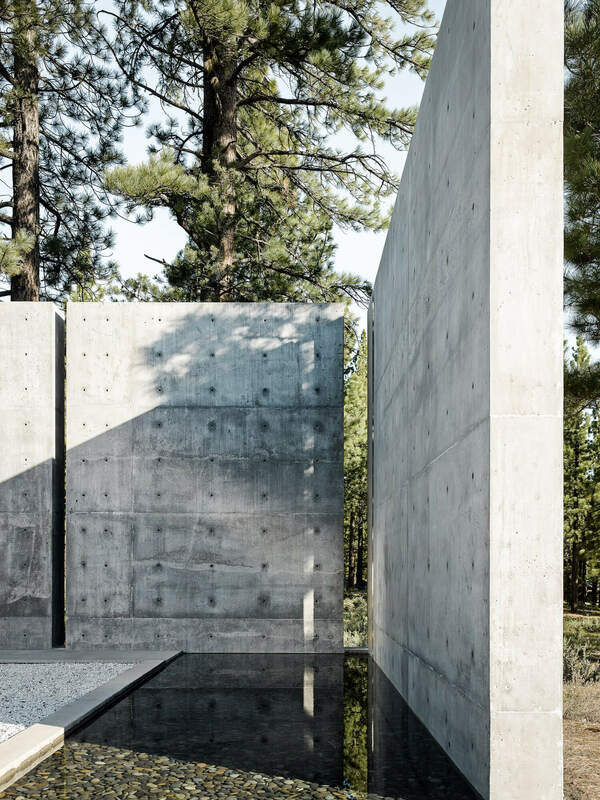 For a researcher living in New York City, a steep site on the rocks of a creek and at the edge of a forest was exactly the place to get away from it all. 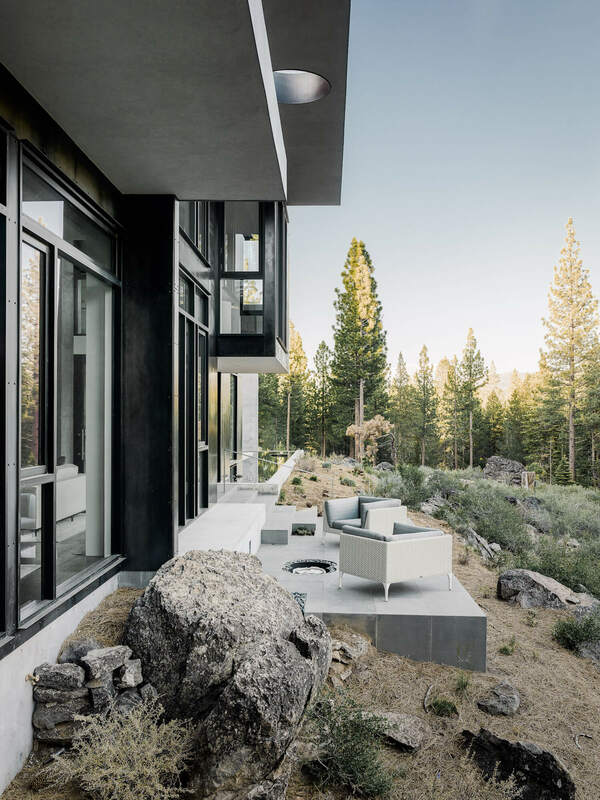 When they approached Faulkner Architects to build their ‘Creek House’ in Truckee, near Lake Tahoe California, their primary concern was “Don’t hurt the boulders”. 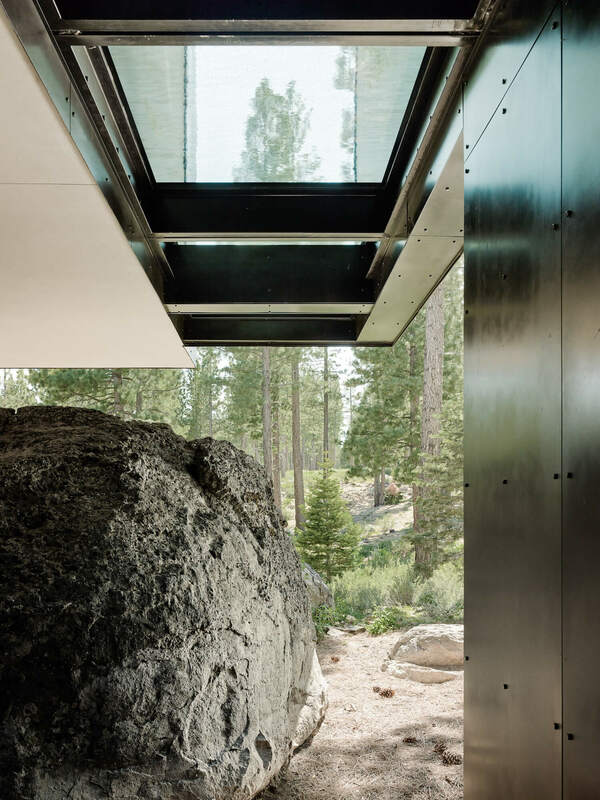 It was this request that informed the entire design of the south-facing architectural beauty that cantilevers over several boulders, as if it isn’t even touching the ground. 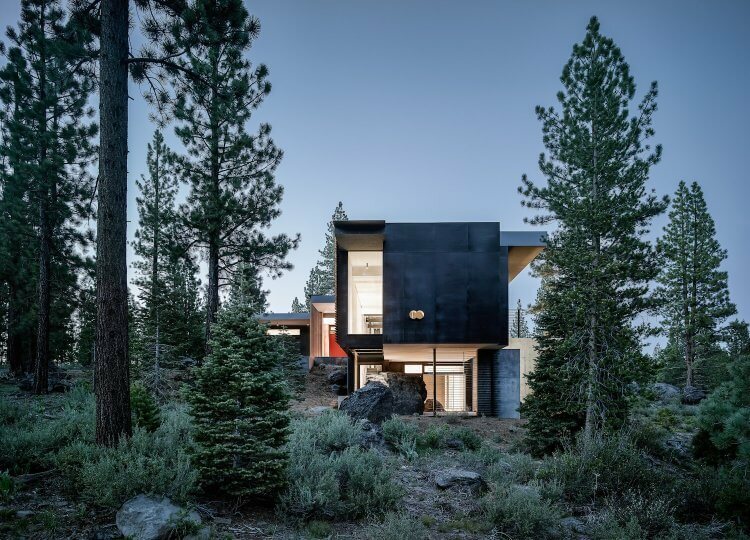 With one look at the exterior of the Creek House, we’re quick to point out how well it blends into its context. 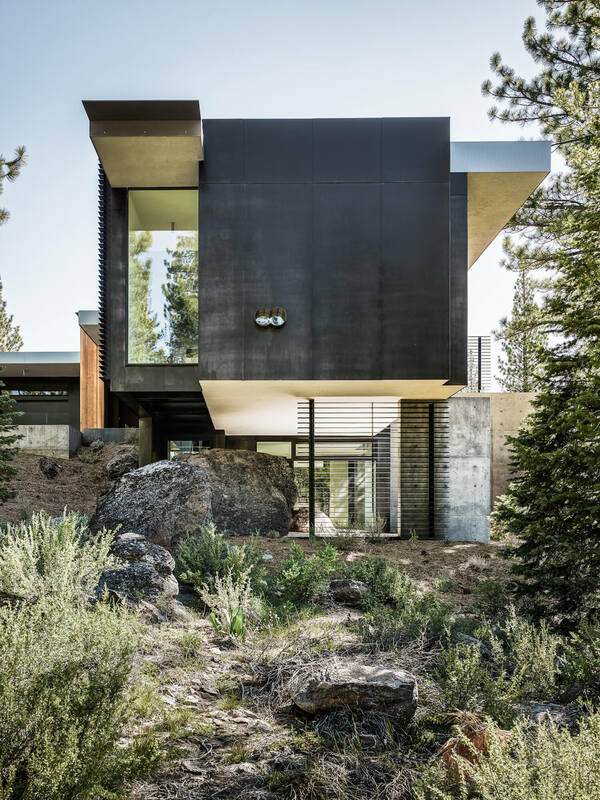 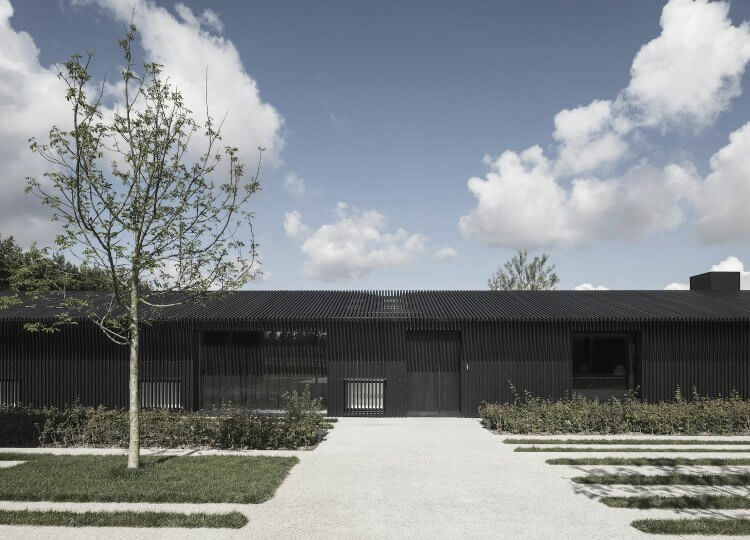 That’s because it’s clad in concrete, wood and dark panels that extend on the palette of its surrounds. 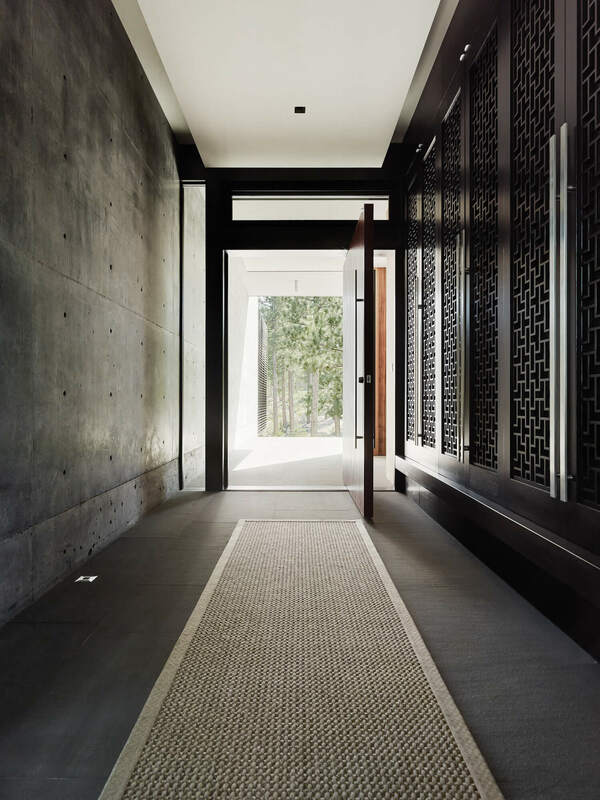 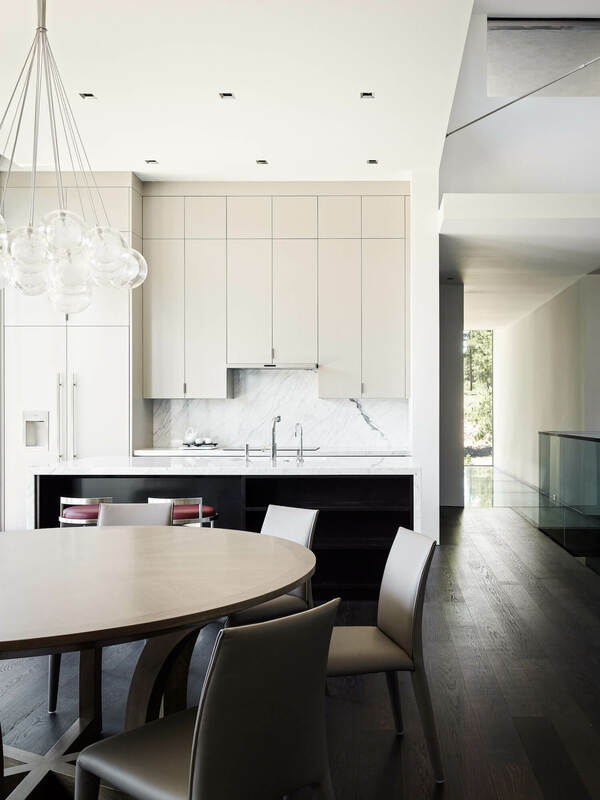 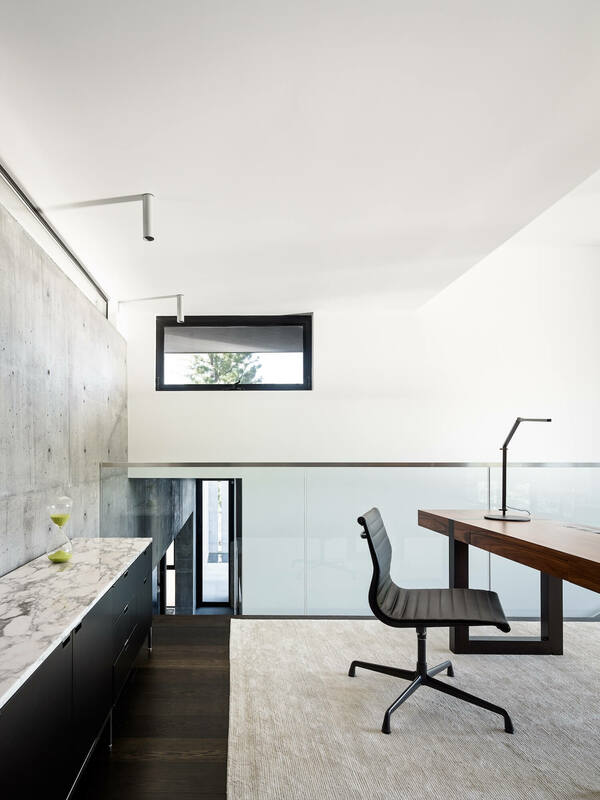 In a similar fashion, the interiors host dark alcoves that transition to sunlit spaces, where textures of oak, concrete, steel, bluestone, and white gypsum walls all overlap. 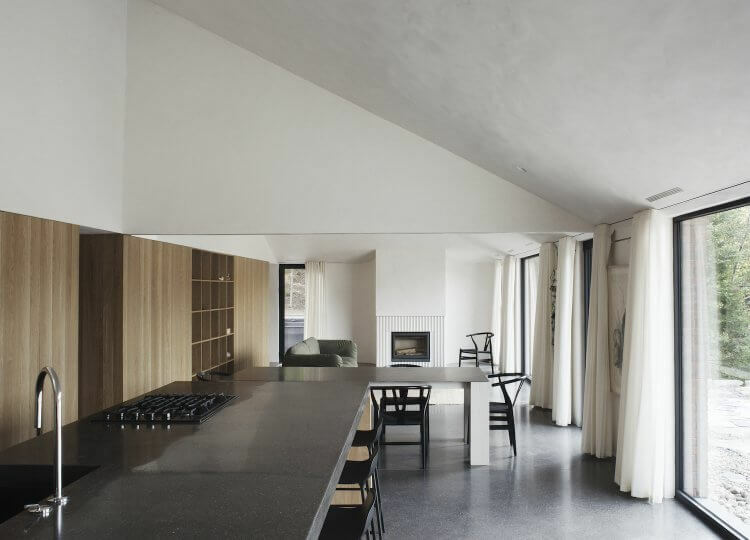 Faulkner Architects describe the spaces of the home as ‘thin bars of use’ that slide in and among the boulders. 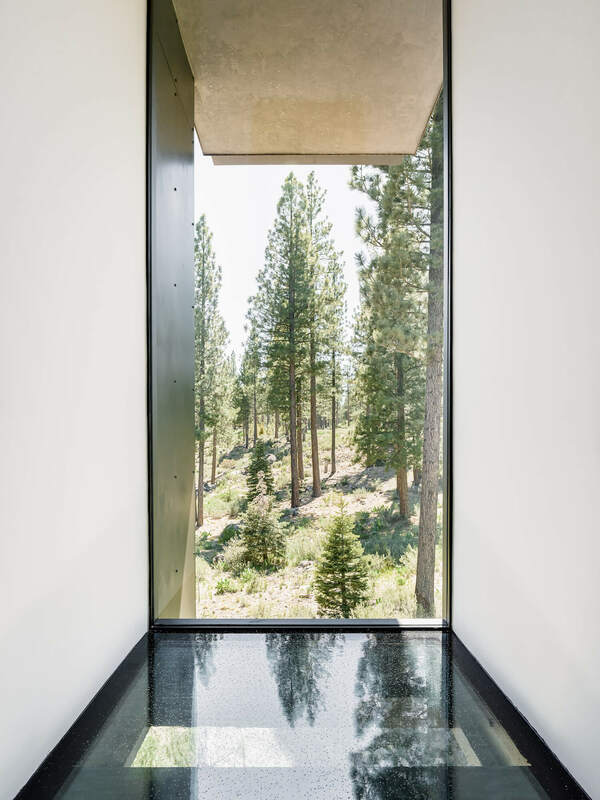 A central component to this concept is the large wall and entrance from the North; prioritising privacy but also maximising sunlight with some incredible vistas. 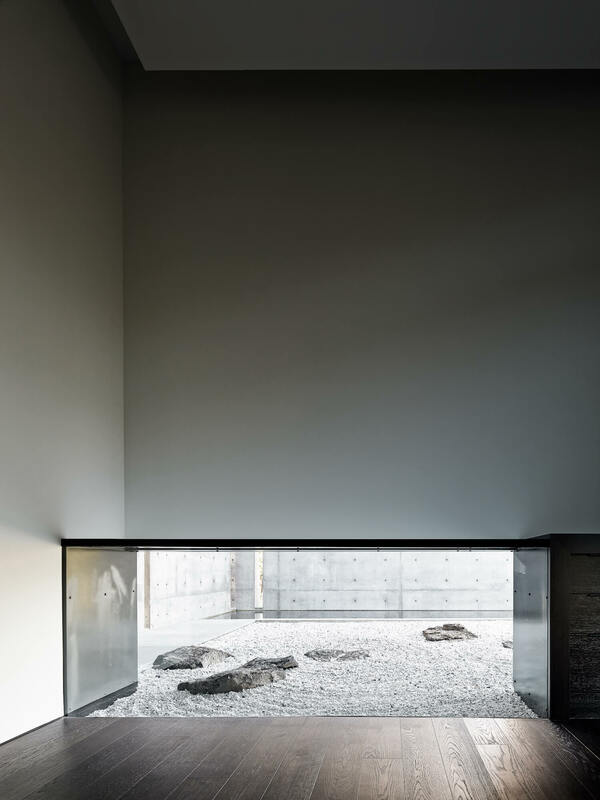 This is what the firm call a layering of spaces, ‘where a concrete wall leads to a rock garden, that leads to a window’. 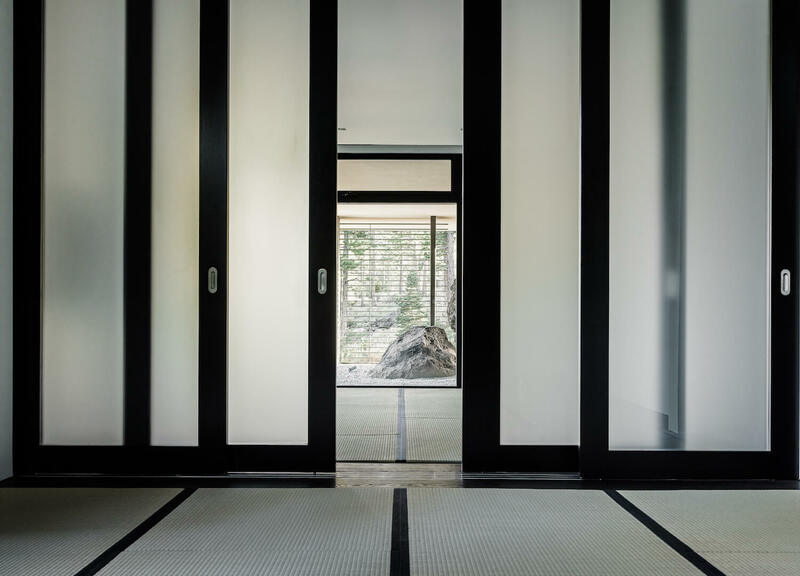 All of this is to create ‘contemplative architecture’ that comprises of densely packed public areas and spacious, open private areas; something that we often see in reverse here at est. 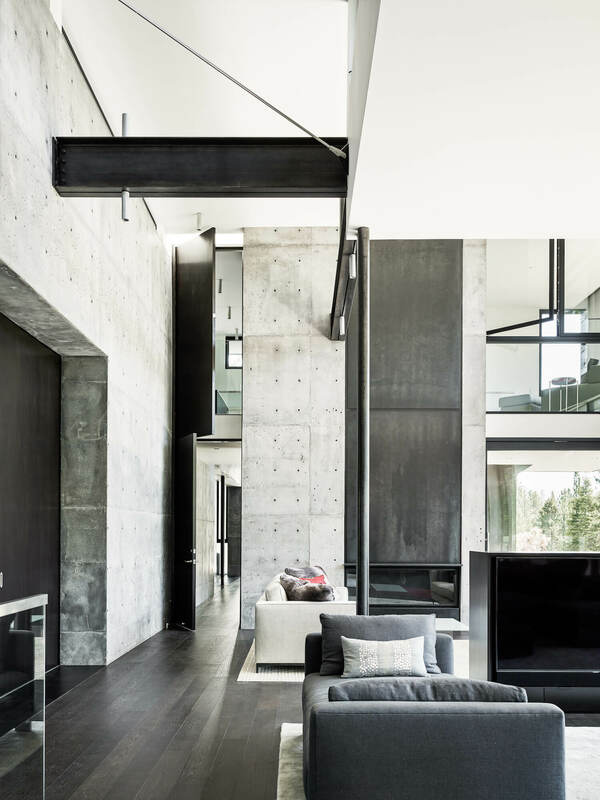 The nucleus of the home is the open-plan living area and up above a study lets light into these shared spaces. 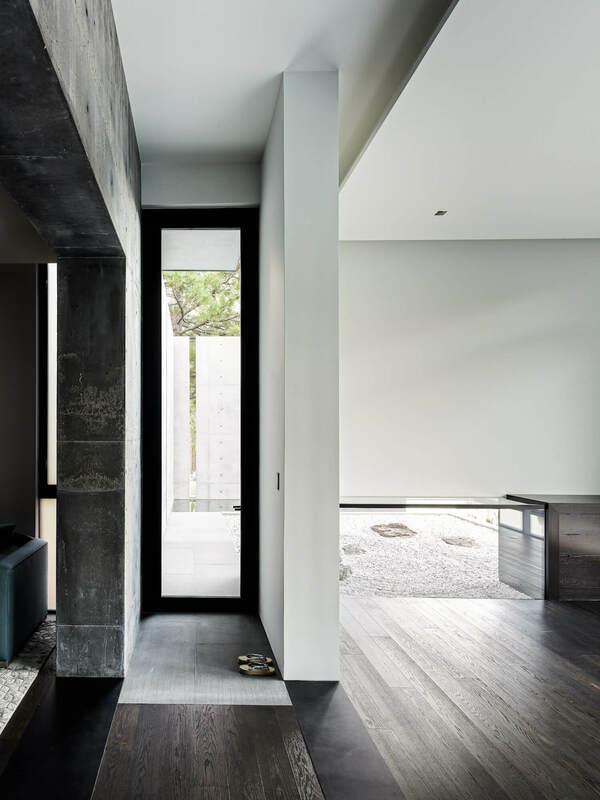 Down a corridor off this area lies two bedrooms and an immersive meditation space on a lower level that is also used to house guests when need be. 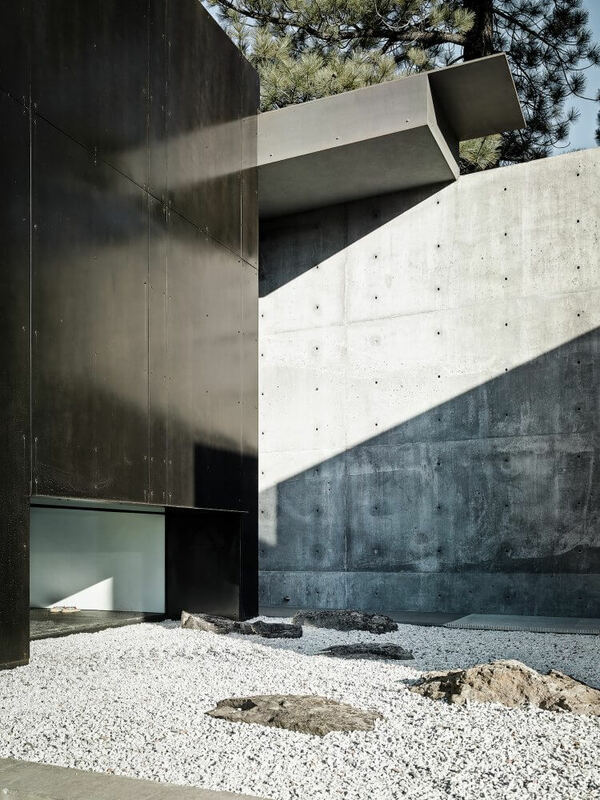 As the owners were deterred from the ‘tremendous upkeep’ of a pool, they decided to integrate a water feature in the home; an incredibly calming element to the Brutalist design. 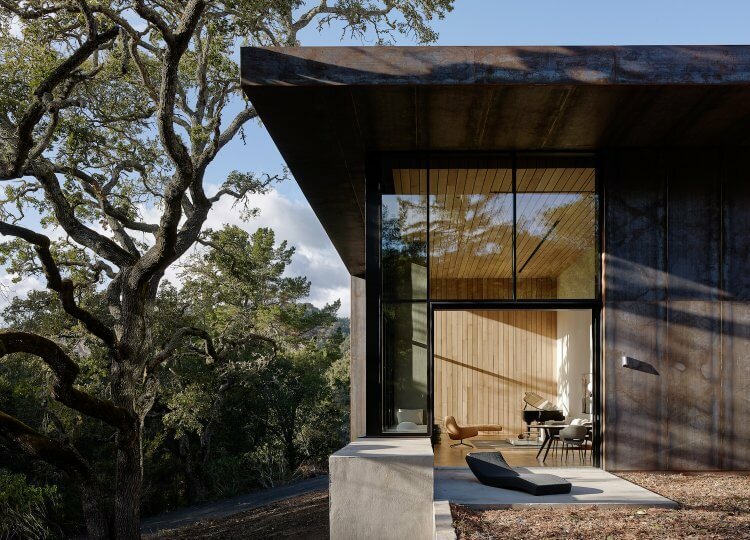 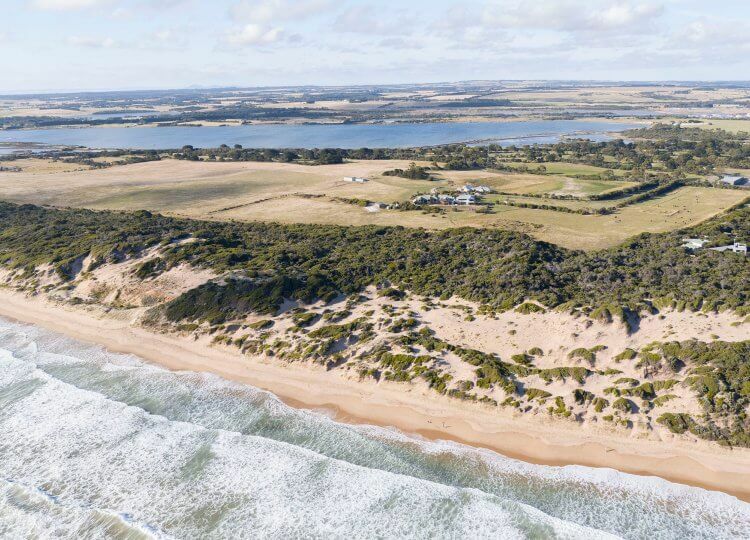 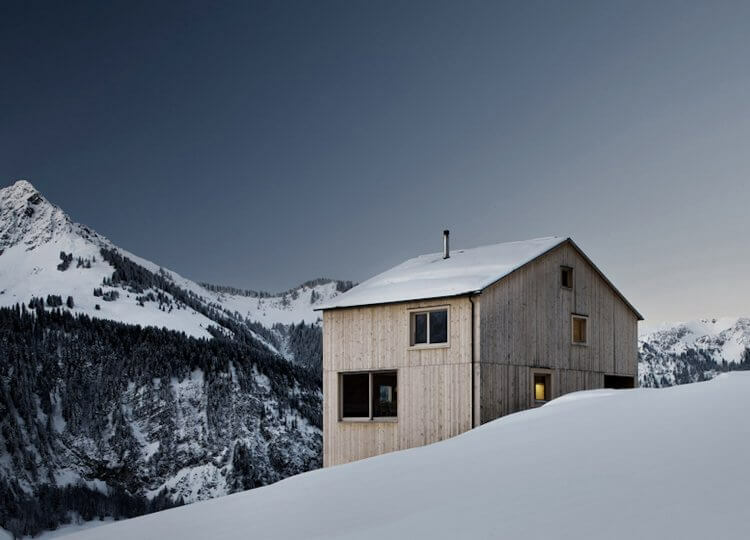 Faulkner Architects have created the perfect architectural place to escape to. 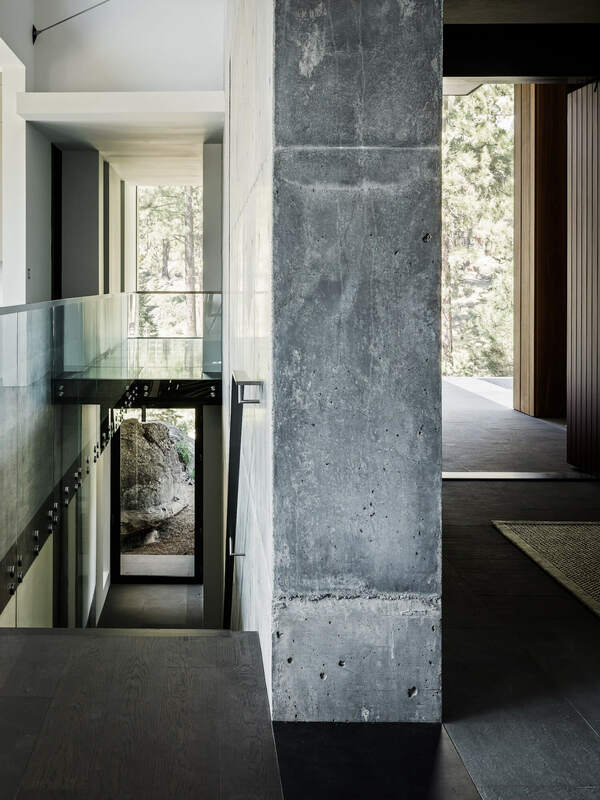 The Creek House is as solid as rock and equally as gentle towards the rocky foundations it lies on.